The Washington Redskins could face protesters as well as the Green Bay Packers when they play at Lambeau Field on Sunday. Press-Gazette Media reported Tuesday that some Native Americans plan to protest during the game because they consider "redskins'' a derogatory term. "We support effectively removing all race-based stereotypes,'' said Barb Munson of Mosinee, a member of the Oneida Tribe of Indians of Wisconsin and the Wisconsin Indian Education Association's Mascot and Logo Taskforce. The Oneida Tribe of Indians of Wisconsin is one of the Packers' major sponsors, with Lambeau Field's east entry gate named for the Oneida Nation. The tribe has taken a position objecting to the Redskins' name but does not plan to participate in the protest, tribal business committee member Brandon Stevens said. "We're actively and proactively creating an avenue of education and seeking out remedies to see how we can come to an understanding where the offender isn't the one dictating what the intent of the mascot is,'' he said. Oneida Nation representative Ray Halbritter says in the ad that NFL commissioner Roger Goodell should "stand up to bigotry'' and oppose ``the racial slur'' in the team's name. The ads are just the latest criticism of the team's name. 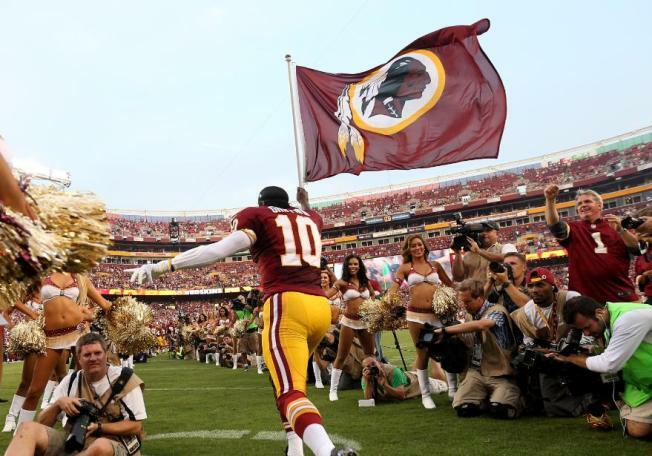 Ten members of Congress sent letters to Redskins owner Dan Snyder and Goodell in May, urging them to rename the team. Snyder has vowed to keep the name.